[South Korea, Seoul] Recently, I just came back from South Korea (yes, again!) and I explored new places! (YAY!) Just a side note, I went there when it was winter time, but winter in Korea is no different as they still continue to eat ice-cream and cold desserts! 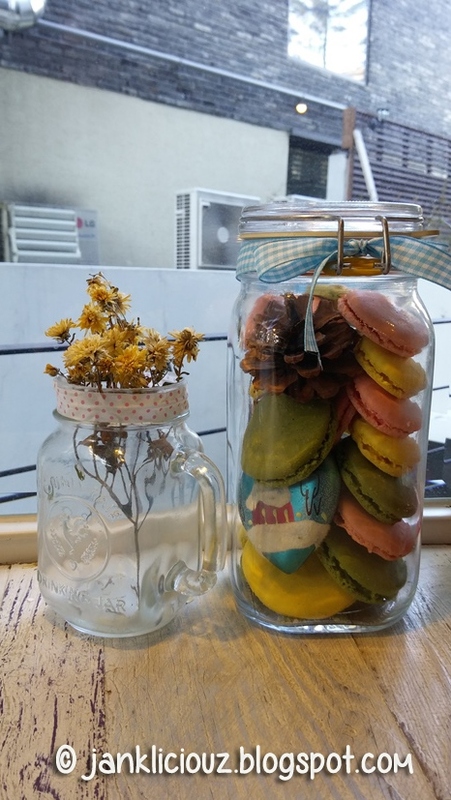 Ok, let's move on to talk about Cafe Burano 카페 부라노. This time, I chanced upon this place on a South Korean blog and decided to check it out. Have I mentioned how I love Korea's cafe designs? It's just so lovely and it makes you just feel so comfortable. As it was winter time, they had all these cute cupcake and cookie designs! No one can beat them in terms of cute stuff, ok? Early in the morning, cakes look super tempting to me! A nice study corner with natural sunlight streaming in. :) They do not chase students out of their cafes. FYI. haha. Don't look down on these brunch portions. The photos don't do their sizes justice, but you get my point. One plate of breakfast is enough to serve about up to 3 persons, depending on how much you actually eat. We ordered 3 plates to share, as they only have 3 big brunch sets on their menu. Of course, you can also order their sandwiches and paninis, but oh, come on! Go big! One of the fluffiest pancakes eaten, with a light drizzle of honey syrup on top. The french toast were soft and fluffy, the vegetable omelette was very tasty! Waffles are done nicely and coated with a thin layer of fine sugar for a great hint of sweetness. The sausages and bacon are cooked wonderfully. Waffles also have little pieces of almonds flakes~! I would totally recommend this place for brunch, as it is really worth the cash and the effort going there! Each brunch set costs 12,000won (est. SGD$14.60).